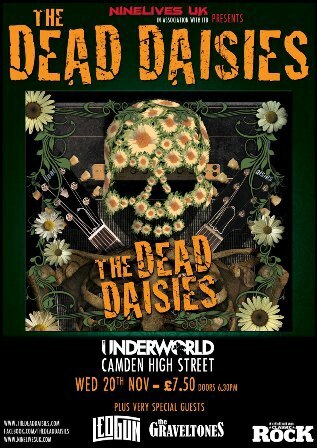 A new band with a Classic Rock pedigree headlines in Britain for the first time with a London gig at Camden's Underworld on November 20. The Dead Daisies will then tour the UK as main support to Black Star Riders, including a show at Wolverhampton's Wulfrun Hall on November 30. Formed around the nucleus of Australians Jon Stevens (Noiseworks/ INXS) and David Lowy (Red Phoenix/ Mink), the Dead Daisies' line-up is completed by Charley Drayton (The X-pensive Winos/ The Cult), Richard Fortus (Guns 'N' Roses/ Thin Lizzy), Darryl Jones (The Rolling Stones) and Dizzy Reed (Guns 'N' Roses). The Dead Daisies were invited to open for ZZ Top in Southport, Queensland and Sydney in March 2013, then joined legendary American rockers, Aerosmith, on their first Australasian tour in 23 years. Things really got moving when the band were asked to be part of the 25-date Rockstar Uproar Festival through the US and Canada in August and September, where they joined Alice In Chains, Jane's Addiction and Coheed & Cambria. Their sound is created around the tracks written by Stevens and Lowy which is based on the music they both love – classic late '70s early '80s hard rock, in that soulful Bad Company meets Foreigner via The Faces kind of vibe – big choruses, powerful melodies, and strong hooks. 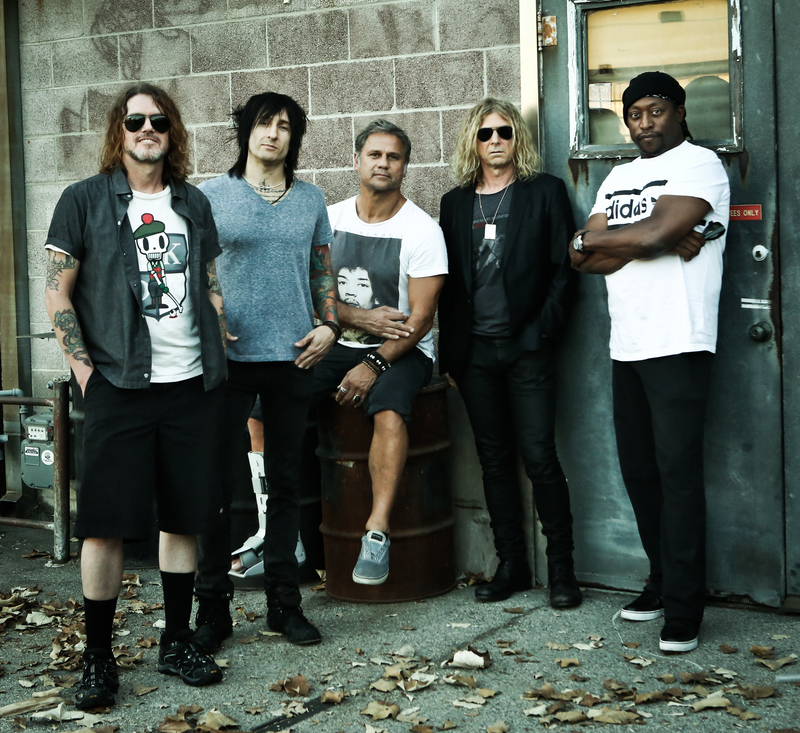 Recorded with LA-based engineer, producer and multi-instrumentalist John Fields, The Dead Daisies finished recording their debut album in just two intensely creative weeks. It will be released early next year but in the meantime a single, Lock 'N' Load, is available on October 28. Featuring, and co-written by, former Guns 'N' Roses guitarist Slash, it has been getting airplay on American rock radio. David Lowy says: "The hard rock culture in Britain is so strong and there is so much history to live up to, it's truly amazing. We're looking forward to playing to a new audience in the UK and hopefully, some new fans." 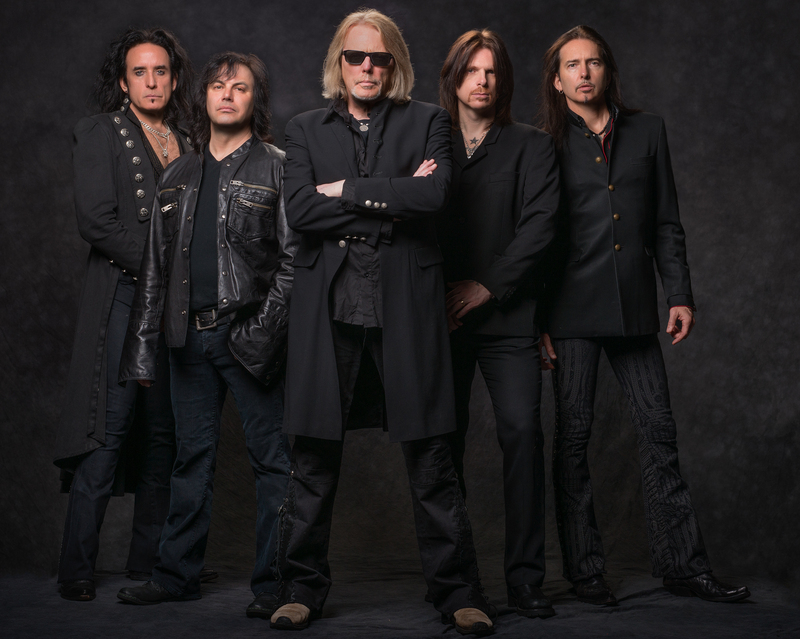 Black Star Riders, which consists mainly of former Thin Lizzy members, chose The Dead Daisies to support them on tour. 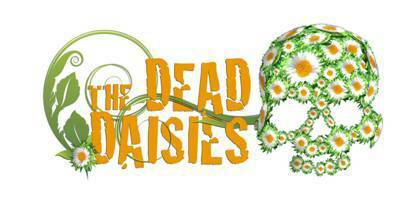 Bassist Marco Mendoza says: "We came across The Dead Daisies when we were touring Australia and what a great band they are. I was lucky enough to play with them on their Oz tour with Aerosmith and again on the Uproar Tour in the US. It's a pleasure to have them out with us in the UK." Adds singer Ricky Warwick: "We are all looking forward to having The Dead Daisies out with us. It's also going to be great to be on the road with Richard Fortus again."